One of the earliest signs that your aircon needs servicing is that it takes longer to cool your apartment than it usually takes. If you notice that your aircon’s performance is slowly deteriorating, you should call an aircon servicing company in Singapore. They will be able to check your aircon unit and recommend a fix. A good aircon unit works quite silently. After constant running, there will be a noticeable change in the sound level and you may hear some creaking from either the indoor unit or the outdoor one. At this point, your aircon is due for servicing and you are better off performing aircon servicing quickly to prevent further damage to your unit. Aircons sometimes go off after a while when the temperature is cool. 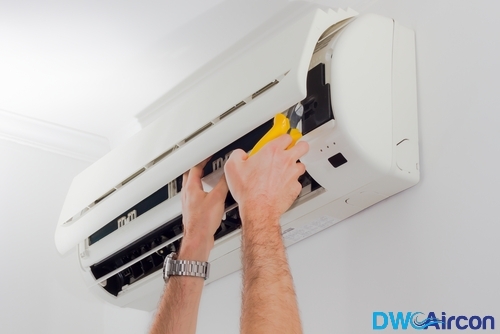 Aircons that require servicing begin to switch off at shorter intervals than they should typically. This can be caused by a lot of things including damaged circuit breakers, fuses and other electrical fixtures. 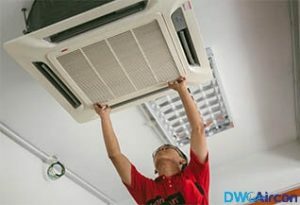 DW Aircon is one of the most reliable aircon servicing companies in Singapore and can help you repair your aircon back to full working condition. You must have a general idea of how much you pay for electricity every month. 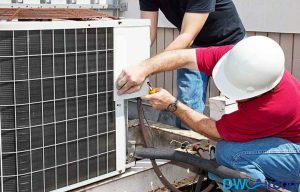 If that amount increases beyond the average, there may be damaged components inside your air conditioner that may be leading to it being inefficient with power. A recommended aircon servicing and maintenance technician can help you fix this and so as to ensure you don’t pay unnecessary expenses. There are many things that could cause your aircon unit to give off bad smells. It may be bugs or other creatures stuck in the air filter or a sign that the compressor is damaged. Another reason why your aircon may be smelling badly could be leaking coolants from the unit. This could make your house get stuffy as high humidity levels can cause microbes to grow around the house. 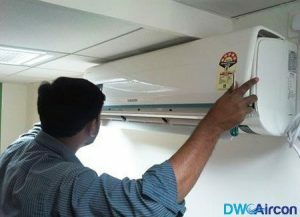 DW Aircon Servicing Singapore provides a cheap aircon servicing in Singapore to get rid of all bacteria and pathogens in your aircon filter and unit. Making sure that your aircon lives more than its recommended number of years is not so hard. 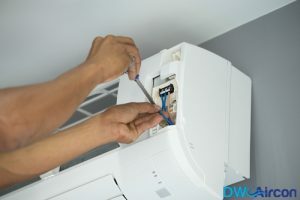 Simply be vigilant to the behavior of your aircon unit at all times and don’t hesitate to speak to the best aircon servicing company in Singapore. Our rates are transparent and affordable with your aircon servicing done by licensed and professional technicians. Call us today at +65 6653 2988 or send an email to enquiry@dwaircon.com for a free consultation.